Aphrodite is a family owned fashion retailer based in Sunderland, England. Aphrodite offers women contemporary fashion apparel. Aphrodite is a high-priced men's clothing store — primarily featuring designer, classic sportswear and casual wear. ShopSleuth found 99 men's clothing stores similar to Aphrodite, out of our database of 45,744 total stores. The following stores offer the closest match to Aphrodite based on our proprietary matching algorithm. Submit your vote below to help us refine our Similarity Scores and rank the stores and brands most like Aphrodite! J.L. Powell is a menswear brand that sells high quality clothing, footwear, and accessories. J.L. Powell is inspired by the tradition of excellent craftsmanship and the spirit of adventure. Outlier builds outwear that performs well. Outlier offers quality outerwear, sports apparel, footwear and accessories for men and women. 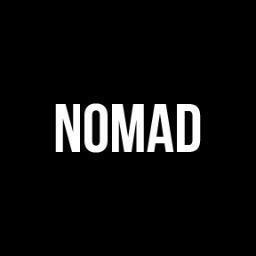 Nomad Toronto is a Canadian apparel and accessories retailer for the discerning gentleman. Nomad Toronto offers a mix of heritage brands and emerging designers of today. Stuarts London is a European men's apparel company that carries a wide selection of top brands as well as an in-house label. Stuarts London offers on-trend, quality apparel and footwear. Westport Big & Tall creates quality, fashionable clothing for big and tall men. Westport Big & Tall carries name brand fashions from labels such as Tommy Bahama, Lacoste and more.